Flowers — MumbleBee Inc MumbleBee Inc.
Two (2) lucky readers will receive a $75 gift code to purchase an arrangement from Teleflora. 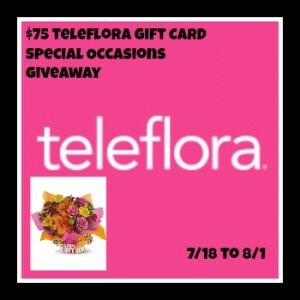 One (1) lucky reader will get a Gift Certificate to Teleflora valued at $75 USD, plus free delivery service fee included. The certificate is time sensitive and expires on December 22, 2018 and good on Teleflora.com; no cash value. One time use only. Not valid on sale items. Coupon cannot be combined with any other discount or promotion codes. Which one would you pick if you won? 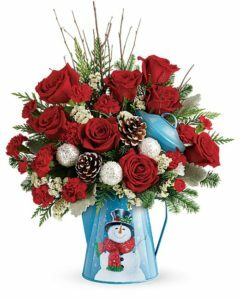 One winner will receive a $75 Gift Certificate to order an arrangement(s) from Teleflora. What a way to say Be Mine this Valentines Day! Certificate must be used by 2/12/18 – Winner only has 24 hours to reply to email. This giveaway is in no way endorsed, affiliated, or associated with Facebook, Twitter or any other Social Media Networking Site. You are not eligible if you have won a prize from the sponsor in the last 12 month. This Giveaway is valid in the United States Only and Entrants must be 18+ years of age to enter. This giveaway event will end at 11:59 PM (EST) 2/14/18. The winners will have 24 hours to email their information back to las93063 at gmail dot com or a new winner will be drawn, you may want to put this email address as safe as it could go to spam. The sponsors are each responsible for shipping of the above prizes. No blog associated with this contests are responsible for prize fulfillment. If you would like to be a sponsor in a giveaway like this please email Laura Smith at las930 (at)gmail (dot) com. If you take an entry you must stay following for the entire contest or you will be disqualified. One lucky reader will get a $75 Gift Certificate to Telaflora.com. This would make a great gift for someone special in your life. What arrangement would you get with a $75 Gift Certificate? This giveaway is in no way endorsed, affiliated, or associated with Facebook, Twitter or any other Social Media Networking Site. You are not eligible if you have won a prize from the sponsor in the last 12 month. This Giveaway is valid in the United States and Entrants must be 18+ years of age to enter. This giveaway event will end at 11:59 PM (EST) 2/10/17. The winners will have 24 hours to email their information back to las93063 at gmail dot com or a new winner will be drawn, you may want to put this email address as safe as it could go to spam. The sponsors are each responsible for shipping of the above prizes. No blog associated with this contests are responsible for prize fulfillment. If you would like to be a sponsor in a giveaway like this please email Laura Smith at las930 (at)gmail (dot) com. If you take an entry you must stay following for the entire contest or you will be disqualified. NOTE: The gift certificate expires 2/16/17, so you will need to return the winning email within 24 hours before a new winner is drawn! Welcome to PassionRoses Best Mother’s Day Ever Giveaway! Mother’s Day is coming up very, very soon! (It’s Sunday, May 10th, for those who aren’t aware.) The folks at PassionRoses are all about helping their customers make this Mother’s Day the BEST Mother’s Day EVER! And come on, with amazing deals on roses and other bouquets, like a whopping 100 roses for only $100, Mom is sure to be thrilled. PassionRoses are at the top of their game when it comes to delivering super-fresh, hand-picked roses at lightning speed. Expert gardeners grow and tend these roses at a farm in Colombia, and PassionRoses ships overnight to the United States, guaranteeing fresh, hardy roses in no time flat. The flowers are handled very gently, lovingly tended during growth, harvest, and shipping. The quality is fantastic! They are so awesome, they are even the Official Rose of the Rose Bowl and of Miss America. Brandy over at Newly Crunchy Mama Of 3 recently received 100 gorgeous long-stem roses from PassionRoses. Rather than keeping all of the roses, she decided to enlist the help of her kids to make mini-bouquets, and donated these roses to some very deserving Moms in her community. You can check out her review and donation project HERE. 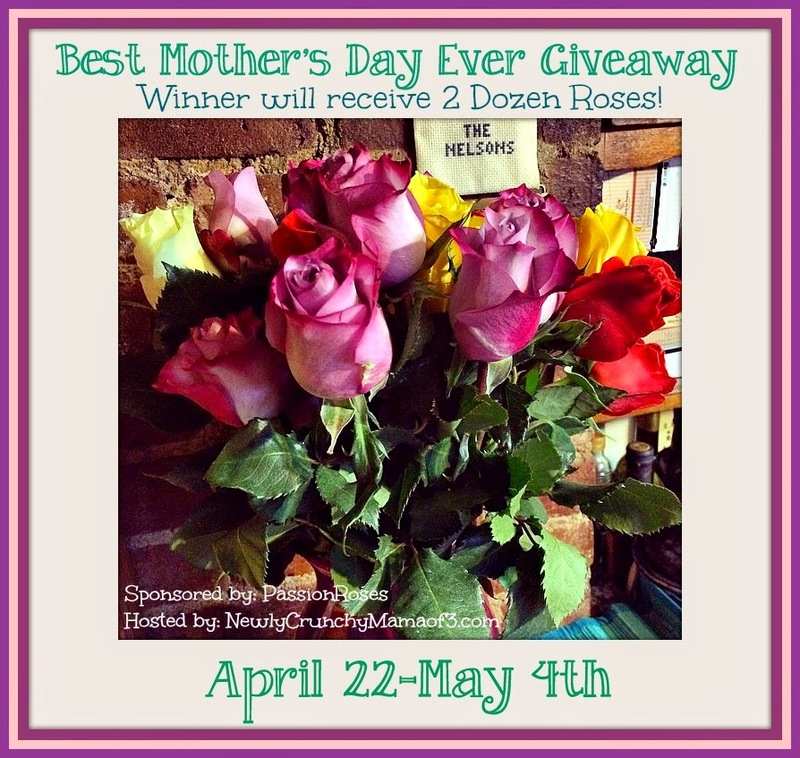 Enter to WIN 2 Dozen Roses from PassionRoses! Giving the gift of flowers can make someones day. You are showing them that you care and that they are very special to you. Know someone who has a birthday coming up and have no idea what to get them- send them one of these beautiful Birthday bouquets that are lovely and unique showing just how much you care. Or maybe you know a special couple who are celebrating their anniversary and you need a last minute gift, that is where when you send anniversary flowers is the perfect option. Right now you can get 20% off flowers when you enter promo code ” JULYT8 ” at checkout or click the link and it will be automatically applied. This code is valid until 10/16/14. ~ Giveaway will end on 8/1 at 7 p.m.
Who would you surprise with a lovely bouquet of flowers?